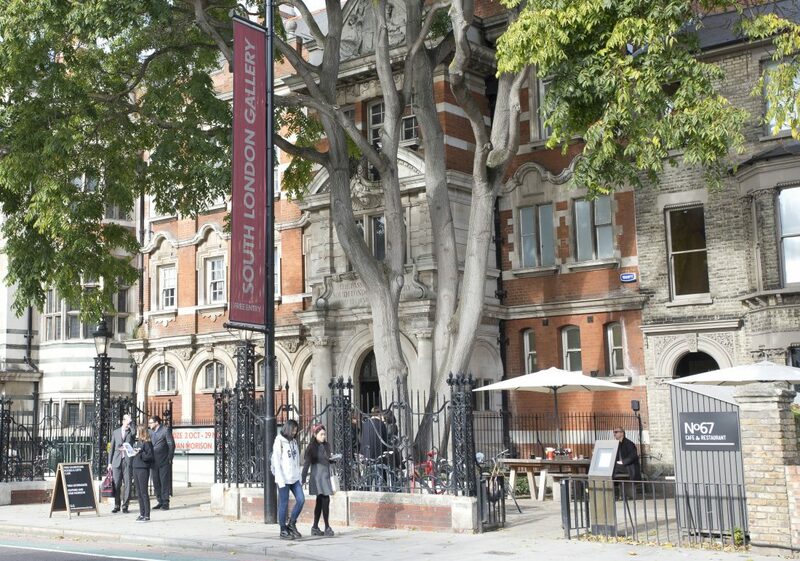 The origins of the South London Gallery lie in the South London Working Men's College, established by William Rossiter in 1868, which evolved into a Free Library and Art Gallery. Rossiter was one of many 19th-century social reformers, philanthropists and artists who set out to improve not only housing and sanitation, but education and culture. 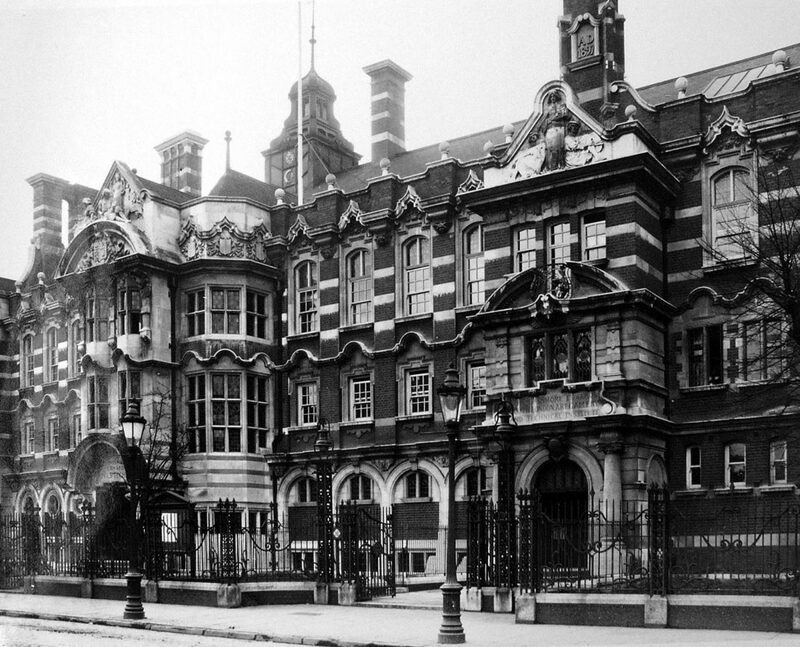 In 1891, the South London Fine Art Gallery, as it was by then called, opened at its current location on Peckham Road. The permanent site was partly secured thanks to fundraising by the Gallery’s influential Council, which included Sir Frederic Leighton, Edward Burne-Jones, G. F. Watts and Walter Crane. In the 1890s, the newspaper magnate and philanthropist John Passmore Edwards funded not only the addition of a Lecture Hall and Library to the rear of the Gallery where the Clore Studio now stands, but also the building of an adjacent Technical College, which became known as Camberwell School of Arts and Crafts. In 1896, ownership and management of the Gallery passed to the Vestry of Camberwell, later transferring to the Borough of Camberwell, and then to the Borough of Southwark. The selection of works of art on display had until then been loaned or donated to the Gallery by private collectors and artists, but from the beginning of the 20th century a structured programme of temporary exhibitions was introduced. The Gallery was closed to the public during World War One and World War Two when it was used as government offices. In 1941, the Lecture Hall and Library building suffered significant damage during an air raid and was later demolished. 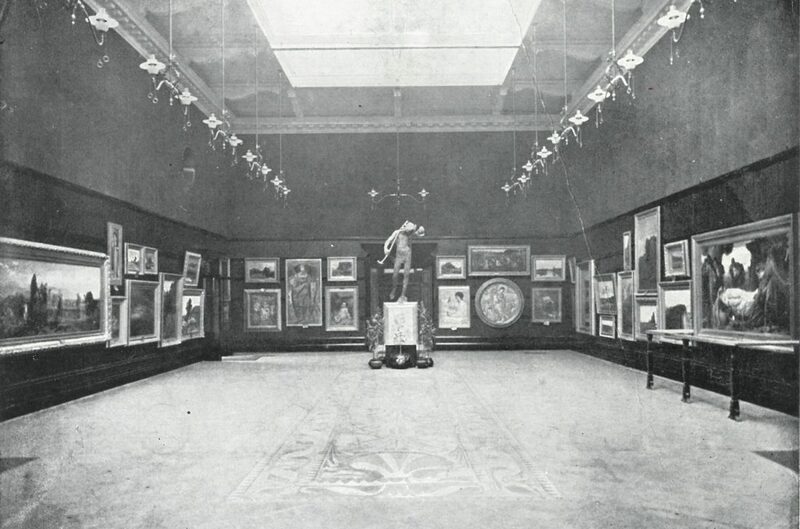 When the Gallery re-opened in 1949, it continued to host temporary exhibitions, sometimes drawing on its own permanent art collection which had been steadily growing since the 19th century. Open exhibitions and the work of exhibiting groups, such as the South London Group, were common features of the programme over the next forty years. With the appointment of David Thorp as Director in 1992, the Gallery came to be known as the South London Gallery with a programme focused on contemporary art, and showing work by internationally acclaimed artists such as Gilbert & George, Anselm Kiefer and Sherrie Levine, as well as new, emerging artists of the time such as Tracey Emin, Gavin Turk and Ann Sofi-Sidén. 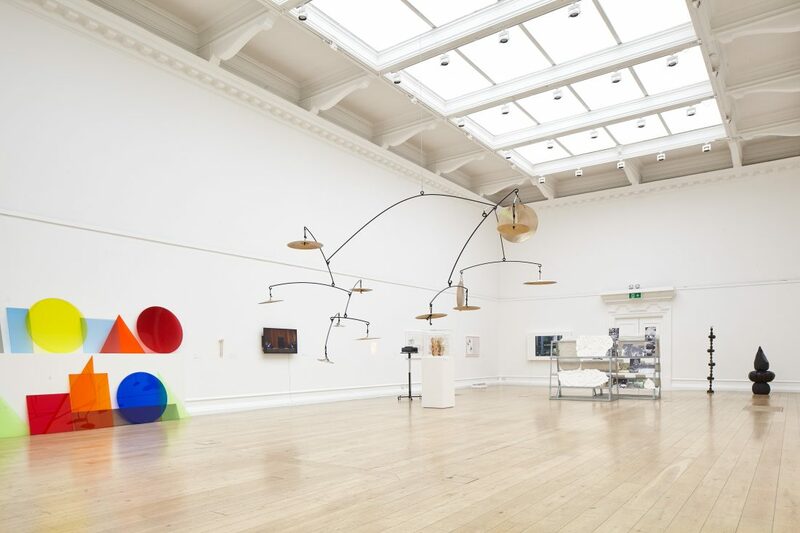 In addition, works by artists such as Antony Gormley and Anish Kapoor were acquired for the permanent collection with the support of the Contemporary Art Society. Margot Heller was appointed Director in 2001 and the SLG continued to build on its national and international reputation. In 2003, the SLG separated from Southwark Council to become an independent charitable trust managed by a Board of Trustees. In the same year architects Stanton Williams and artist Ori Gersht were appointed to develop a plan to enhance and extend the SLG building. The initial phase of this building project was completed in 2004 with the opening of the Gallery’s first dedicated education space, and improved visitor facilities including disabled access. A further building project, completed in 2010, significantly expanded the Gallery’s spaces. Designed by 6a architects, the previously derelict neighbouring three-storey house was transformed into the Matsudaira Wing, which provided additional galleries, a bookshop, café and a double height events space leading out onto the Fox Garden, designed by Fraser & Morris. To the rear, built on the site of the old Lecture Hall and Library, the Clore Studio was designed as a flexible space for education workshops, talks, film screenings and private hire. This area was further transformed in 2016 when artist Gabriel Orozco designed a new permanent garden in the outside space adjacent to the Clore Studio. Over the past 20 years, the SLG has worked with hundreds of artists on a wide range of exhibitions and projects, as well as supporting the professional development and practice of artists through residencies in the Outset Artists’ Flat. 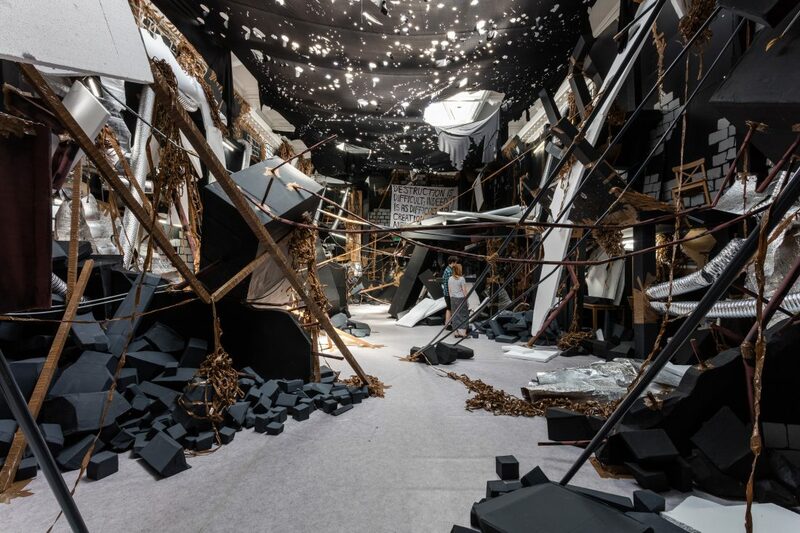 Throughout this period the SLG has been committed to presenting new work by early and mid-career artists such as Alice Channer, Isabelle Cornaro, Rashid Johnson, Ryan Gander, Gabriel Kuri and Oscar Murillo, as well as by established international figures such as Dara Birnbaum, Thomas Hirschhorn and Lawrence Weiner. 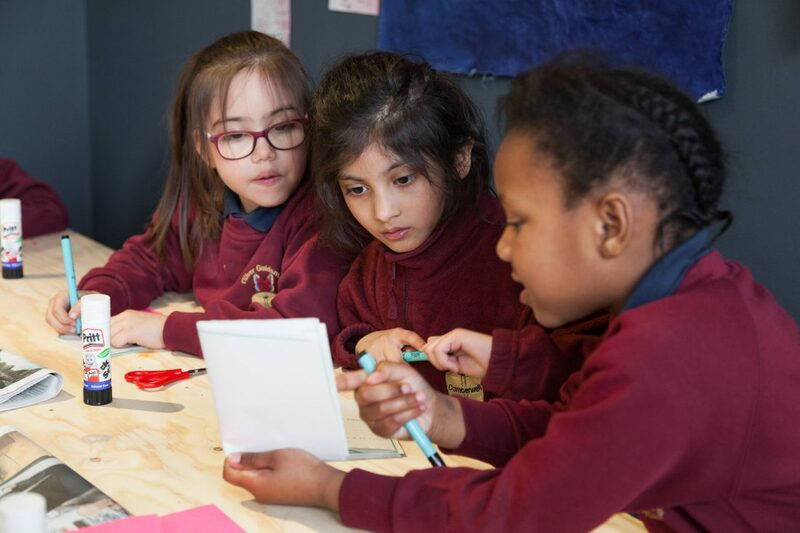 This period has also been characterised by the depth of the SLG’s commitment to engaging local residents in its programme, often through long-term projects, and including thousands of children, young people, and adults in inspiring creative, social and training activities. In 2018 the SLG expanded into the former Peckham Road Fire Station. The Grade II listed building, which was generously donated to the Gallery by an anonymous benefactor, is an addition to the SLG’s main site, enabling the Gallery to enhance the ambition, scope and impact of its programmes to sustain a long-term future. The façade of the gallery in spring, 2016. 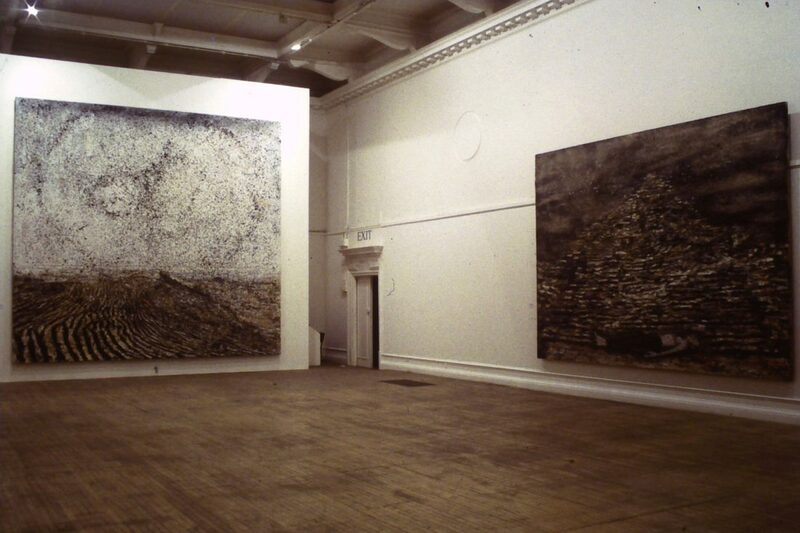 From its early beginnings in the 1860s, the South London Gallery has emerged as a leading gallery showcasing the best in international contemporary art. More information about past exhibitions will be available soon but in the meantime contact mail@southlondongallery.org for information about previous displays. Eoghan Ryan: Oh wicked flesh! Karaoke: 4 for 4 and 2 to 2 too (Biefer & Zgraggen, Urs Fischer, Franz Wanner, David Allen, Roddy Buchanan, Jacqueline Donachie, Douglas Gordon, (e.) Twin Gabriel, Liebscher – Lehanka, Max Mohr, Angela Bulloch, Mat Collishaw, Abigail Lane, Georgina Starr. Curated by Georg Herold). Cymbals and coloured geometric shapes in the Main Galleries forthe 2016 exhibition Under the Same Sun, 2016. Through long-term intergenerational projects, Evidence of Us seeks to position people as experts in their own heritage by foregrounding local knowledge and supporting otherwise under-explored histories. Open Plan is a long term public art and education project which invites international and British artists to create artworks and events with and for the SLG’s close neighbours on Elmington, Pelican and Sceaux Gardens housing estates. The Art Assassins are a diverse group of young people aged between 14-21 years old who meet every Tuesday at the South London Gallery. REcreativeUK.com is an online contemporary art resource designed by and for young people. 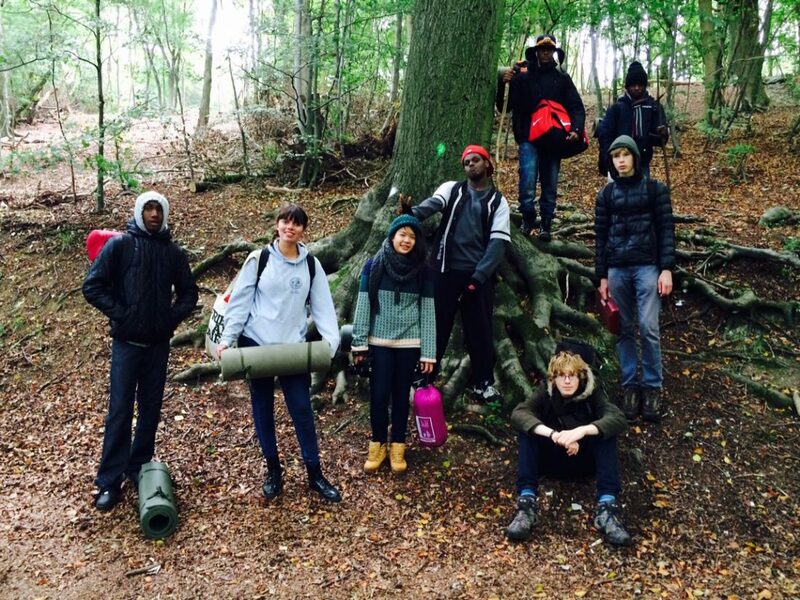 The REcreative editorial board are a group of young people aged 16 – 25 who meet monthly to help shape the REcreative programme’s content and direction. Creative Families is a series of artist-led projects in collaboration with Southwark Parental Health team which explores the relationship of parenting to well-being. Making Routes was a unique partnership between Oasis Children’s Venture, South London Gallery and Battersea Arts Centre which saw six residencies for disabled and non disabled artists and concluded in an inclusive festival across all three venues. The Peckham Cultural Institute was a series of study-sessions in collaboration with Central St Martins College, aimed at developing a model for representing ‘culture’ through digital curating and archiving. SLG Local brought together a number of projects with a focus on creating relationships with audiences within walking distance of the SLG. The Louis Vuitton Young Arts Project was an arts and education programme that built a network of peer-led education work across five partner galleries: Hayward Gallery, Royal Academy of Arts, Tate Britain, Whitechapel Gallery, led by the South London Gallery. Fourth Plinth Education Programme. The Great Art Quest was a national visual art and storytelling project organised by The Prince’s Foundation for Children & the Arts. Making Play was the first project that enabled the gallery to develop a long-term relationship with our closest neighbours on Sceaux Gardens, Southampton Way, Pelican and Elmington Estates. 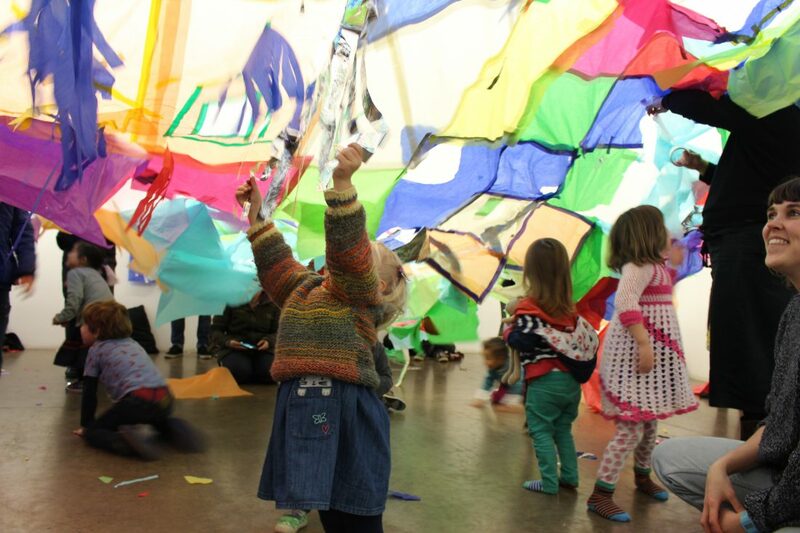 Making Play was inspired by the possibilities of bringing together children’s play and contemporary art practice. Double Take saw the SLG’s contemporary collection exhibited in two Southwark Secondary schools.